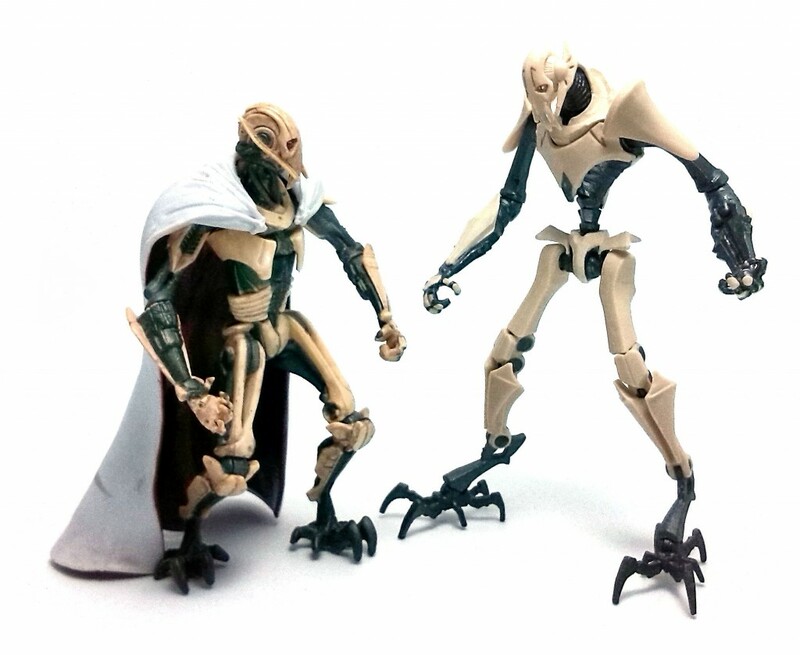 Even though Hasbro did release General Grievous more than once in the animated-style Clone Wars line, it was one of those characters I didn’t felt like paying the full retail price for. The stylized look was fine by me, but something in the 2008 and 2009 releases didn’t quite do it for me. However, Hasbro saw fit to release a new version in 2010 which I did not hesitate to get when I saw it at a local discount store a few weeks ago. The 2010 release of Grievous is the Battle Damaged version, even though he does look quite healthy in his package. 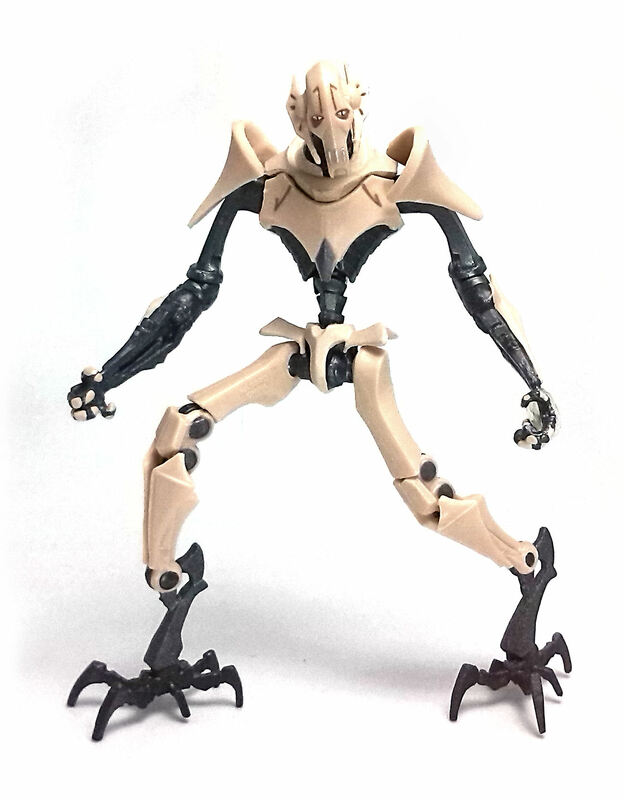 This version of Grievous ties in with the Clone Wars episode where a couple of jedi and a retinue of clones manage to track him down to his lair and even cause him some damage before the cyborg general forces the sole surviving jedi to flee for his life. 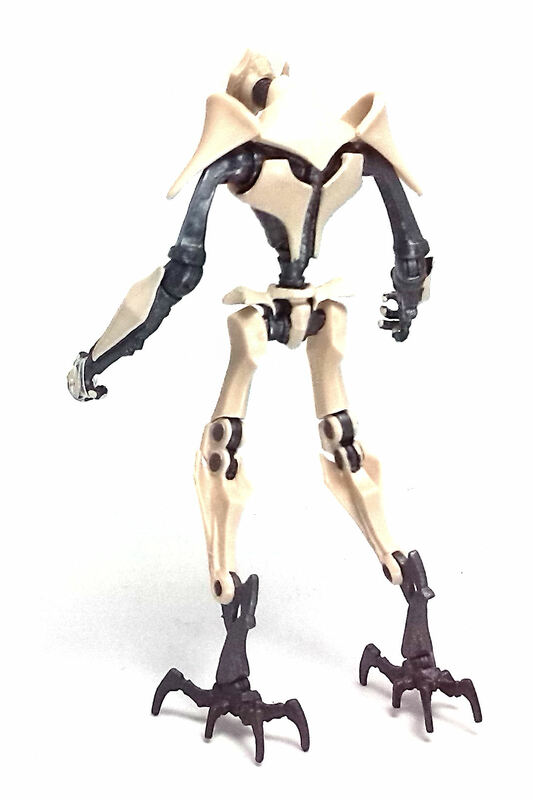 To this effect, Grievous is packaged with an alternate set of foreamrs as well as a damaged head. I had not noticed it at first, but also the chest and shoulder armor plates can be taken off the figure. This is an extremely versatile articulation model, despite some of the armor plates getting in the ways of some of these joints, especially at the upper torso. 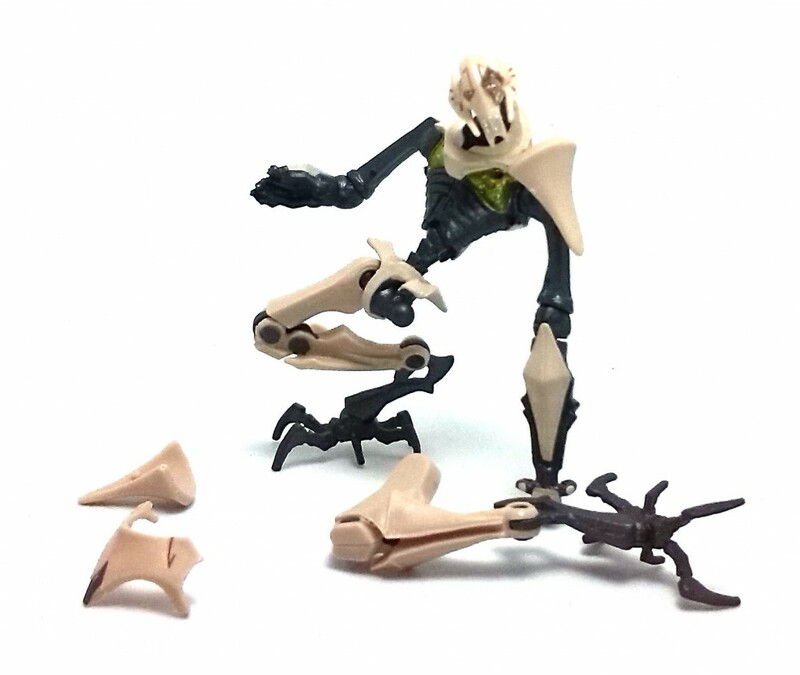 Grievous is nicely decorated after his appearance in the show, with practically no paint errors at all, although I wonder if there was no way to better highlight the damage done to the head, as it is not immediately easy to recognize the area of exposed tissue underneath the armor. As I mentioned, both pauldrons on Grievous can be removed, as well as the chest plate. Given the figure’s construction, is is also possible to take out the legs and mix and match between several states of disrepair, adding a good deal of play value to this figure. 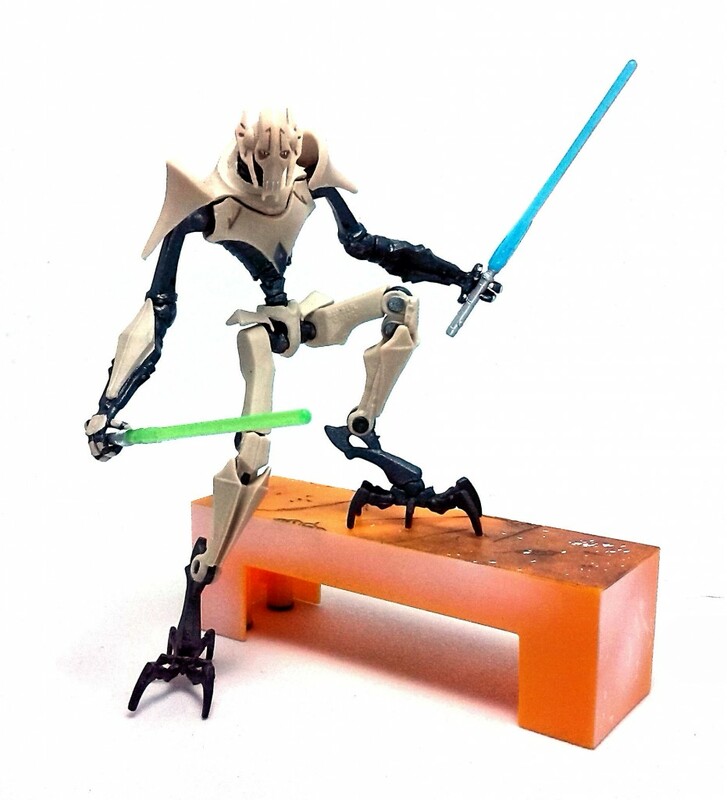 General Grievous comes armed with a couple of lightsabers, one blue, one green. Unfortunately, the grip of his hands is rather loose, making it difficult for him to hold them securely. 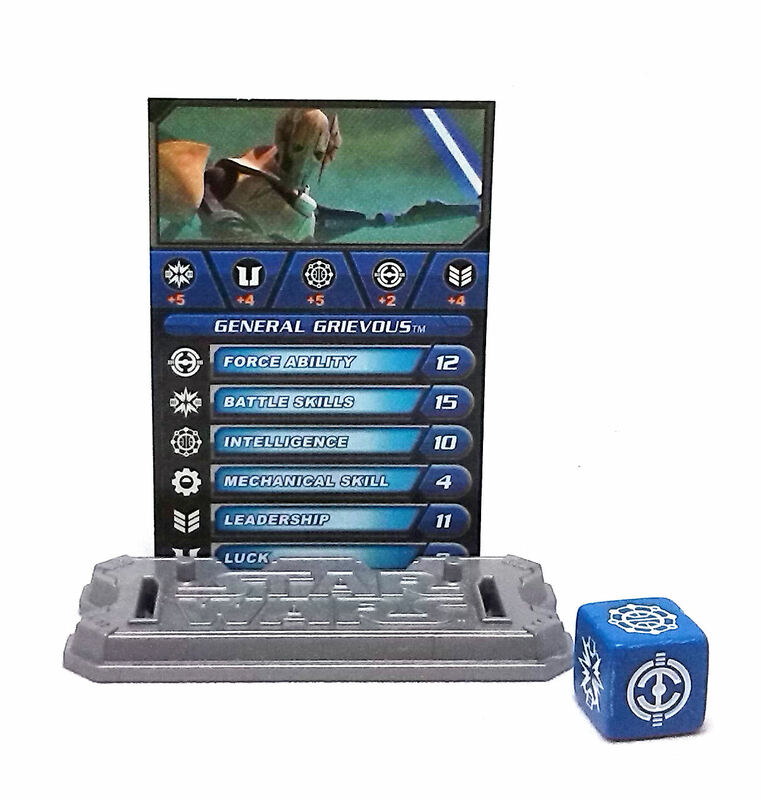 In addition to the weapons, Grievous comes with the customary plastic display base, blue die and stats card to be used in Hasbro’s Galactic Battle Game. 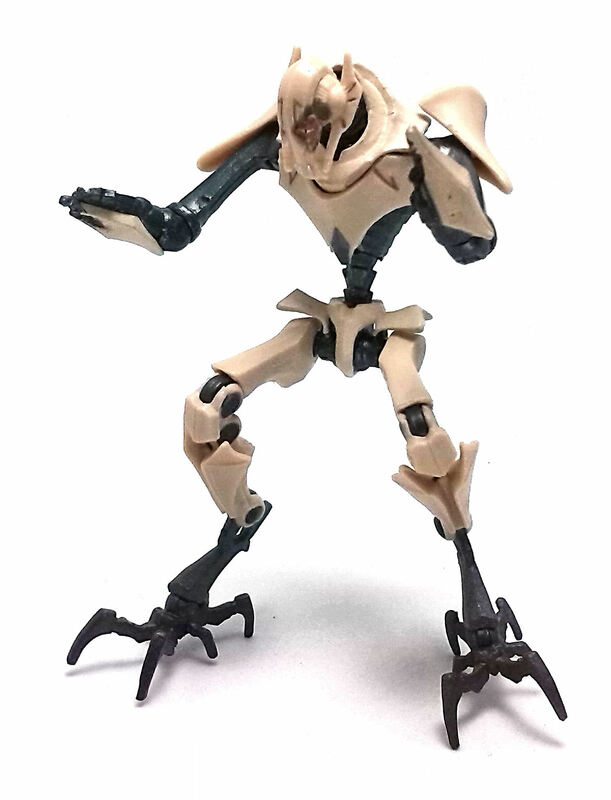 I must say that I am extremely pleased with this version of General Grievous. I wish Hasbro had taken the time to produce a similar upgrade to the other main baddie from the show, Count Dooku.